Always wanted to play laser tag? Now you can build a mini laser tag game at home! As ambient light sensor detects the intensity of the laser pointer. 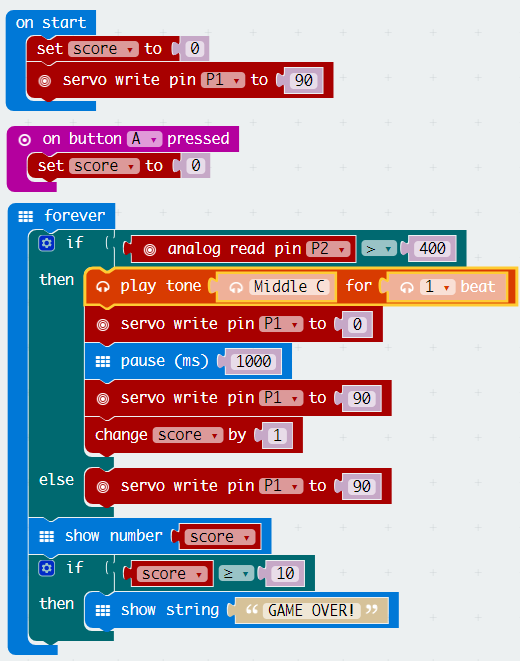 If it is greater than 400, it will sound the buzzer and the servo will make the target fall and up. Game over when it reaches 10. Press A to reset score to 0. 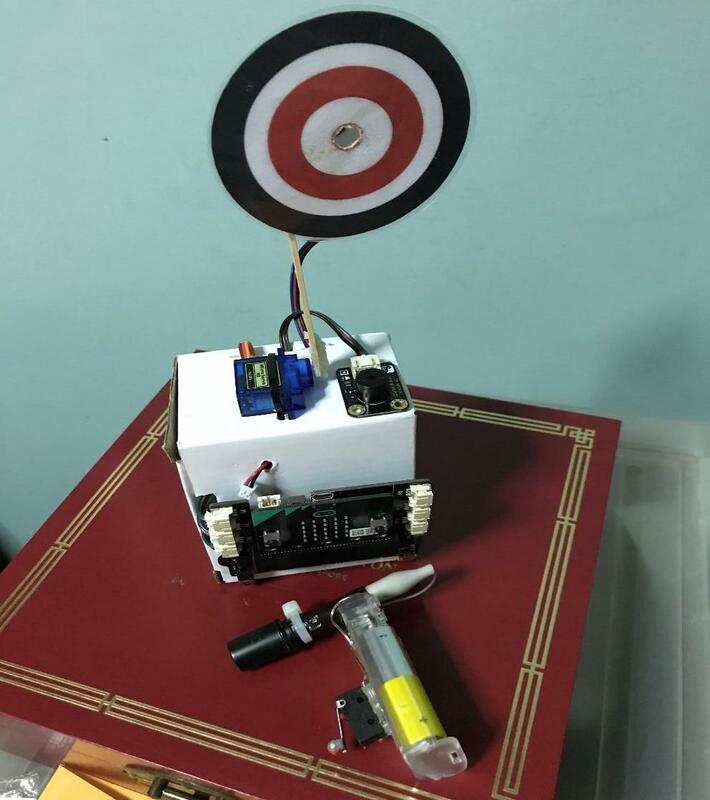 Use colour printer to print the target. 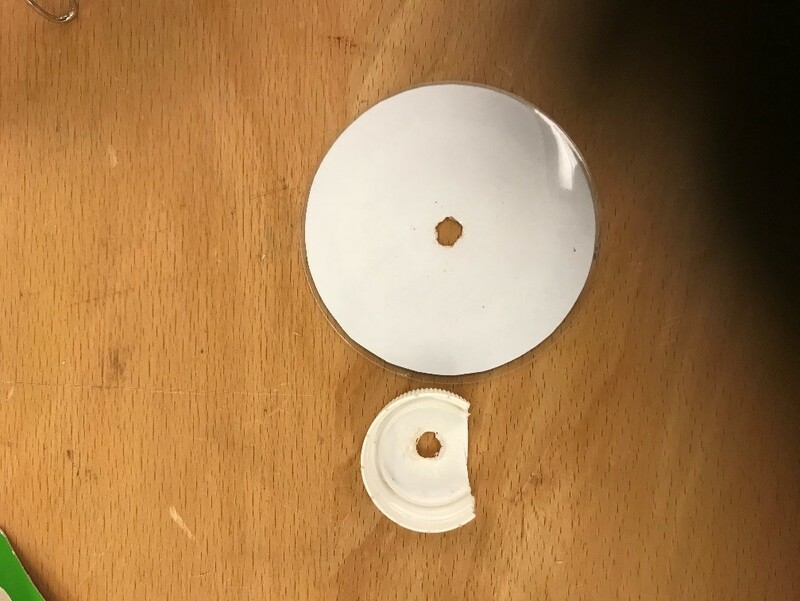 Laminate the target and drill a hole on the target and bottle cap. 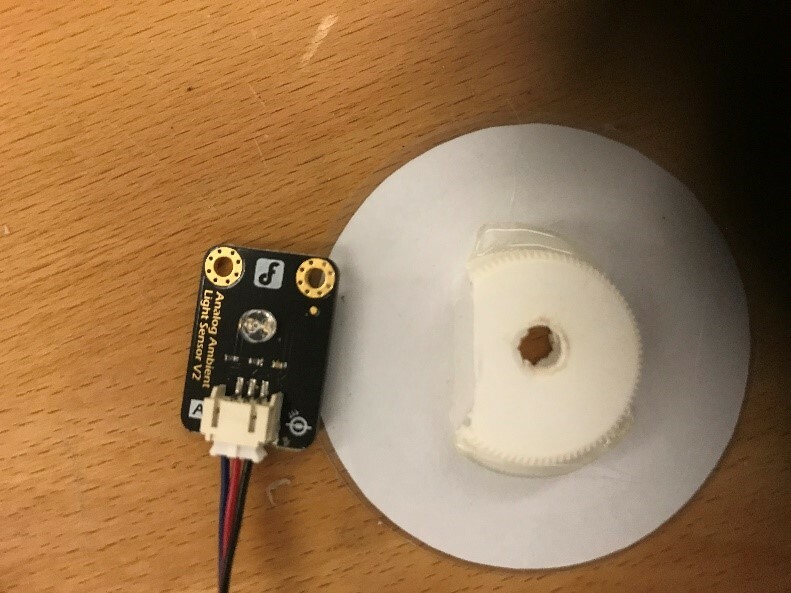 You need to trim the bottle cap because the jst connector is higher than the light sensor. Align the holes and glue the cap to the back of the target. Then, place the ambient LED into the hole. 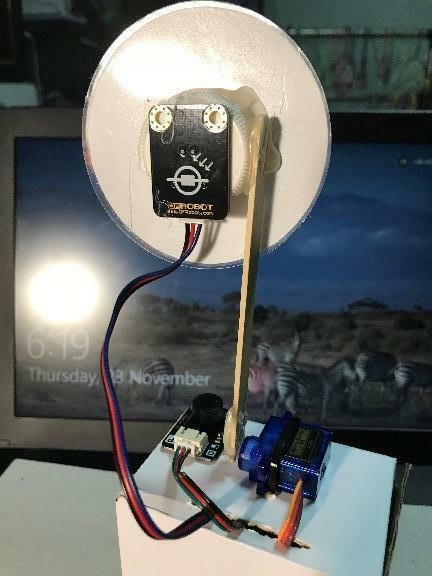 Turn the servo to 90 degrees and connect the popsicle to the servo. Glue it. You might need to adjust the value of >400 based on your lighting conditions. We will be using the laser pointer, battery case and micro switch. 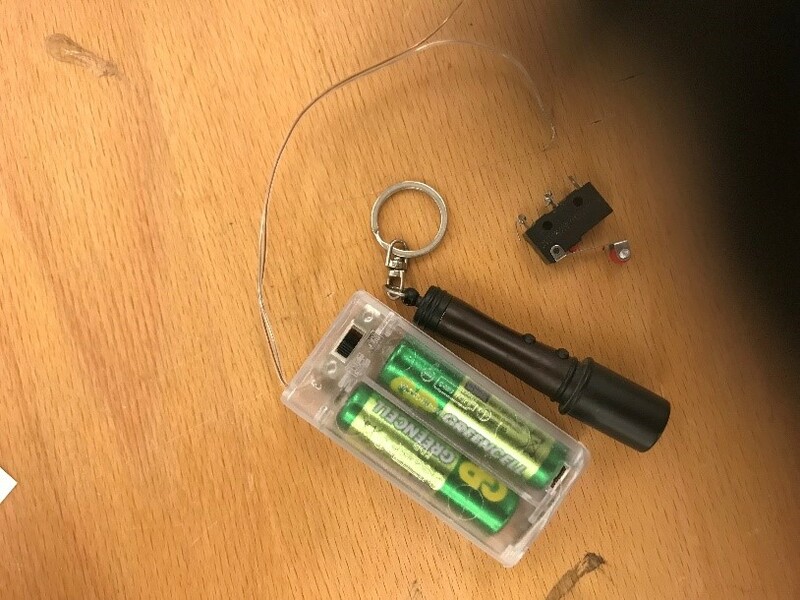 Remove the batteries from the laser pointer and glue the laser pointer to the top of the battery casing. For my laser pointer, the spring (blue arrow) is -ve and the inner casing (orange arrow) is +ve. As the spring of the laser pointer is very difficult to access, I use a crocodile clip to clip on it. 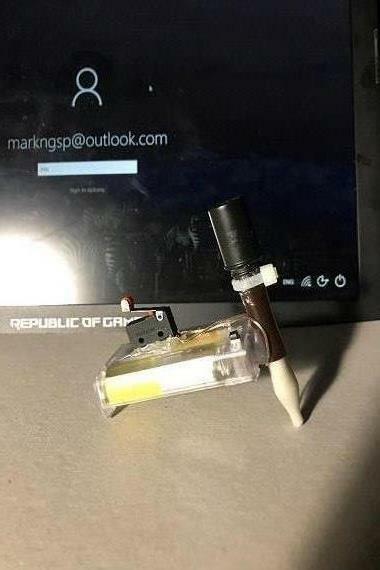 -ve of battery connected to crocodile clip. The crocodile clip is clipped on to the spring indicated by the blue arrow. +ve of battery connected to micro switch. 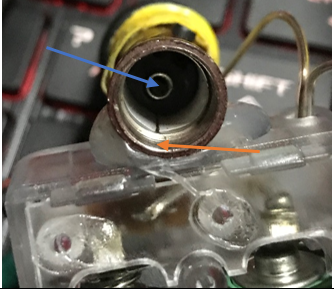 Another cable from micro switch to the inner casing of the laser pointer indicated by the orange arrow. 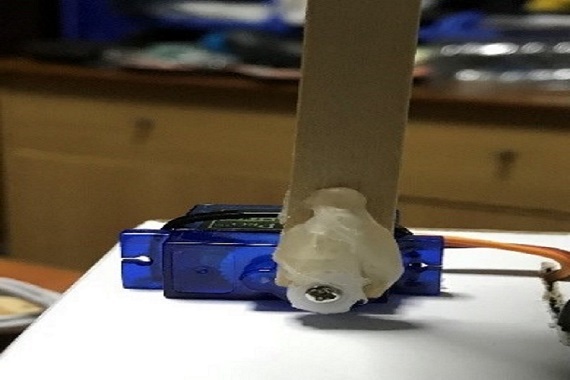 Tie a cable tie around the switch of the laser pointer so that the switch remained depressed. Solder the micro switch and glue it to the battery case.